Canned food has a high content of preservatives, whatever be the content, including packaged sausages, the favourite of many. The manufacturers have to add preservatives like sodium sulphite, potassium bisulphites, sulphur dioxide and so on. The high salt content is harmful for you, especially people who are supposed to be on a low salt diet. If you are forced to consume canned food due lack of any other option, it’s a good idea to rinse off the salt first. Sugars are also added to improve taste and it can increase you sugar levels to a great extent, especially bad for diabetics and people trying to lose weight. Cans are coated with a layer of BPA, a dangerous chemical. This industrial chemical is found in the coating of cans, can lead to serious health issues. BPA can imitate our hormones which can cause male impotence, reproductive disorders, type 2 diabetes, heart disease, breast cancer and so on. BPS, a BPA replacement is equally bad for you. In fact, a study revealed that out of 6,000 chemicals used in packaging, 175 are harmful to us. 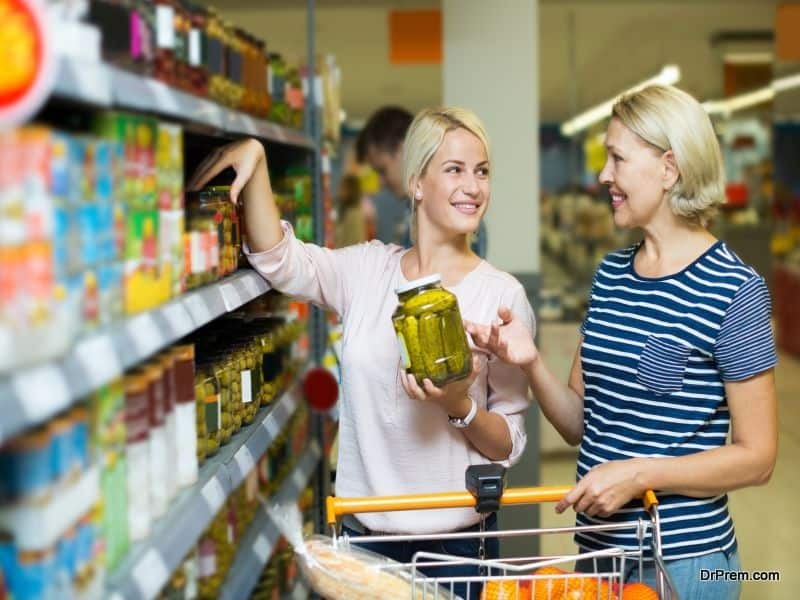 While buying canned goods, check for the chemical ADA or Azodicarbonamide. This bleaching agent is used to manufacture yoga mats, and is also used in canned food like raisin bread. This chemical has been found to increase asthma and cancer risk. Many canned food manufacturers have now jumped on to the “natural food” craze and have replaced artificial flavours with natural flavours. But studies have proved that natural flavours also contain synthetic chemicals, harmful for the body. Cooking at home is a much better option than eating canned food. Mineral, vitamins and energy i.e. calories contribute to the nutrition factor of food. The food storage method affects the quality of food to a great extent. The canning process involves preservatives, heat and pressure, which reduces nutritional value. Cans are airtight, leading to the food inside being deprived of oxygen, which decreases vitamin content. When you open the can and heat the contents, minerals and energy are further lost. 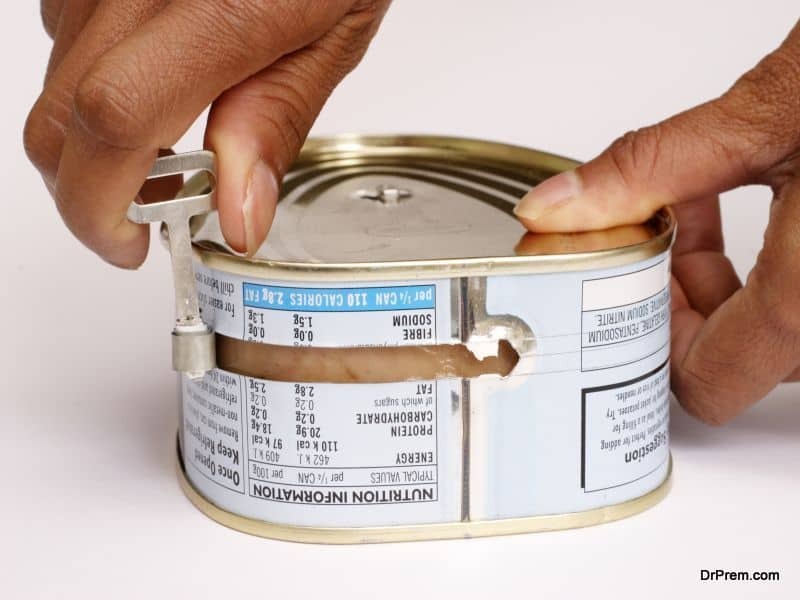 The bacteria Clostridium botulinum may be present in cans which have not been processed properly. This bacteria can cause the deadly disease botulism, which cause paralysis and may even cause death in a person if it is not treated in time. Cans which have been canned at home are usually sources of these bacteria, and commercial cans rarely contain these dangerous bacteria. 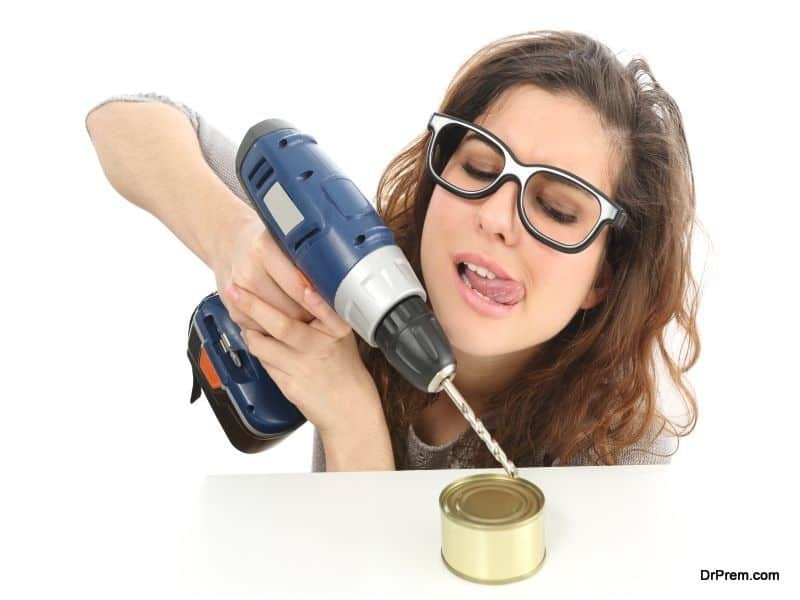 You should not buy or eat food from cans which are leaking, cracked, dented or bulging. We store cans in the fridge, to prevent them from spoiling. But actually, the material of most cans react to the oxygen content of the refrigerator and oxidise, which affects the food inside the cans. You can store the contents of the can in glass or steel containers. The acidic contents of a can reacts with the can, resulting in an acidic taste and can be linked to other harmful effects. Foods like fruit juices, tomatoes and other sour foods, can react with the aluminium and cause nausea, vomiting and diarhhoea. Many manufacturers buy surplus food from farmers which are of poor quality and can them. This is an advantage for the manufacturer as they buy at lower rates but not so great for you as you end up eating food which is of little or no nutritional value. 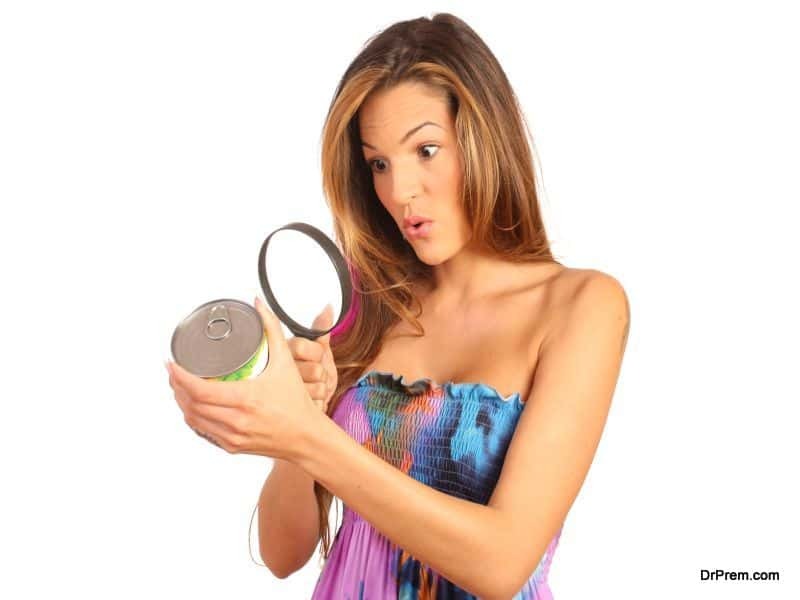 Canned foods should be avoided as they are loaded with dangerous chemicals which can cause many serious diseases.